The Eastern Bluegrass Extension Bee School will be February 24, 2018 at the Clark County Cooperative Extension Office (1400 Fortune Drive, Winchester, KY 40391-8292). This school is being coordinated by the Clark, Estill, Madison, Powell, and Nicholas County Extension Services. Speaker are Dr. Tom Webster from Kentucky State University and Dr. Ric Bessin from the University of Kentucky. A session geared for beginners is planned for 9:00 – 12:00 ET. 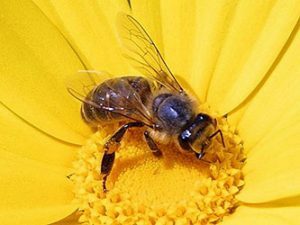 A session for more advanced beekeepers will be offered from 1:00 – 4:00 ET. Cost is $12 to attend one or both sessions. Lunch will be included in the registration. Pre-registration is preferred. Find out more by contacting David Davis, Clark County ANR Extension Agent, by email (david.davis@uky.edu) or by calling the Clark County Extension Service at (859) 744-4682 or Lawrence Caudle at the Powell County Extension Office, 606-663-6405.